I’m so excited that Last Days is being released through Penguin Random House in Germany this month as REMEMBER THE FUN! Last Days is out in the world and I’m loving the shelfies I’m seeing on facebook and Instagram and the wonderful reviews on how much readers are enjoying Zoey’s story. It makes my day to hear/read such feedback. Not long to go now for the cover reveal for LAST DAYS OF US (my road trip book). It’s out officially out from HQ Young Adult in Jan 2018 but that means it will hit the shelves mid December and I can’t wait. This book has a huge chunk of my heart and I hope you guys will love it as much as I do. AND to whet your appetite I’ll have a free linked story out through all good etailers Sept 4th. I saw the cover today for MUSIC OF US and it is perfect. I should have that to show you really soon. So excited to have the rights back for my sci-fi series and looking and getting Lifer and Temper (and the conclusion) back out there on the shelves. Thrilled to celebrate the release of Temper & What I Saw! Check out my Facebook for a competition to win some specially designed jewellery. Really happy to reveal the cover for my next YA contemporary coming through Harlequin March 2016. Check it out now in the books section! Lots of my overseas friends are sharing their summer reading plans. It’s winter here and particularly chilly – which means perfect weather to curl in front of the fire with a good book. Today I wanted to talk about a few I’m looking forward to from my publisher Month9 Books. When Claire Mallory's father leaves, her mom moves them to a new town and into a dilapidated Victorian house. The old house creaks and whistles, and smells . . . well, like it's been abandoned for years. But as the nights grow longer and the shadows take on substance, Claire wonders if the strange sounds and occurrences might be more than the house showing its age. Just as things start to pick up in Claire's love life, her mother becomes possessed. In an attempt to save her mother and their new home, Claire enlists the help of two boys, each of whom is interested in Claire for very different reasons. As she chooses one boy over the other, something dangerous is unleashed, and the spirits make their move. They aren’t content to moan and scream inside Claire’s house, or even control her mom. They want a taste of freedom, and they'll use Claire to get it. But is Claire strong enough to fight off the evil spirits, or will they claim her and her mom before it's all over? These will warm my evenings… and probably keep me awake until I finish. So thrilled for FAKE to be on this list of RITA nominations!! It’s nominated for best first book and I couldn't be more excited to be in such great company!! The RITAs are the RWA published awards and being a part of them is a dream come true. I'm so excited to have Lifer out there in the world. So far the reviews have been great, and I'm so glad people are enjoying Asher and Blank's story. Below is a picture of the paperback - I don't think I'll ever get tired of holding a book I've written in my hands. Something we all hear early on when we’re starting out writing is to have a great first line/paragraph/page and it makes sense. From editors to readers we know we need to hook them on that first page. People are busy and we want them to read on. For me it’s usually a lot of pre-thinking, waiting until I have a start I’m happy with before writing. Then it’s all about the re-writing and listening to advice from those trusted first readers. Unfortunately there’s no one perfect solution for a great first page and it’s one of those ‘know it when you see it’ things but there are a few ways to help make the magic happen. Try to raise a question that will make the reader keep reading to find the answer. It doesn’t have to be a big question but we need to care about the answer. This one is personal preference but I prefer to meet a character straight away who I want to know more about. Write a first page that makes you want to read on yourself. You’re your first reader. Remember that first page is a promise, it sets the tone for the rest of the book and if you don’t follow through it will break the reader’s trust. The wonderful thing is that you don’t have to get it right first time. Be willing to cut and polish to make that first page shine. I've added a quiz, to determine who your fake online boyfriend really is... Out of the boys you'll meet in the book, of course! What a whirlwind and a wait this journey is. There is a month (A whole month! ONLY a month!) today until the official release of FAKE. Or as it could be called, the Fake release… which can get kind of confusing. There’s been the excitement of the Fake cover and not so long ago that magic moment of holding the real Fake book in my hands at last. A dream come true. As a part of that I’ve planned my very first book signing, although since it’s a Fake signing I’m not sure it counts. It’s 3rd of October at Collins Booksellers Edwardstown. I’m super excited for other firsts ahead like seeing it on the shelves. I can’t wait to hear from readers and hope everyone loves Kath and Sebastian as much as I do. Tremendous excitement here today with the reveal of the cover for Lifer. Check it out, along with the blurb, in the books section. Seeing my cover is a hugely special step on this journey and I can't wait to hold the real thing in my hands. In the meantime I've been busy working on the Lifer sequel and it's been so much fun spending time with the characters (not so much for them but that's the joy of being an author). I'm also working on research for a fun road trip based YA contemporary which is a change but just as fun as the sci-fi. Any good road trip stories to share? 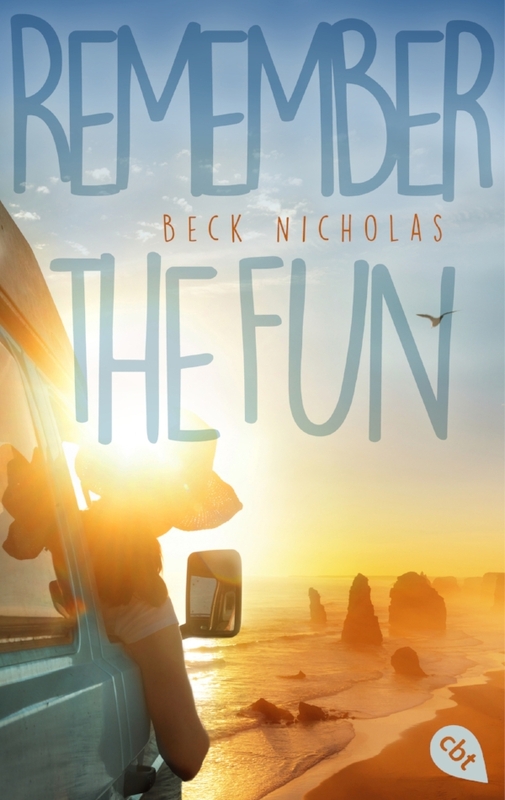 Beck Nicholas' LIFER in which a teen slave girl aboard a spaceship finds herself in the middle of an uprising, and a teen boy back on Earth searches for his forgotten past in the midst of a brewing rebellion, pitched as The Bourne Identity meets Under the Never Sky, to Georgia McBride at Month9Books, in a two-book deal, for publication in 2014 and 2015, by Ali McDonald of The Rights Factory (US).